What kid hasn't imagined finding a secret door that leads to an adventure-filled multiverse? 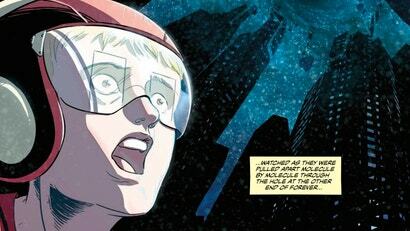 In Vault Comics' Maxwell's Demons, the titular hero is smart enough to actually build the tools to really go on those adventures. But the cosmos is a big place, filled with joy and horror in equal measure -- as poor Max finds out.